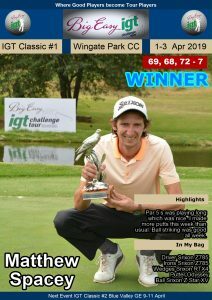 PRETORIA, 9 July 2018 – Estiaan Conradie fired his way to the summit of the IGT Challenge Tour’s eighth event at The Els Club Copperleaf with a superb five-under-par 67 on Monday. 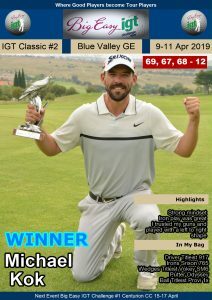 Conradie won seven times on the country’s premier golf development circuit in 2016 and 2017, but he endured a testing start to his Sunshine Tour career after a lengthy bout of flu in April. 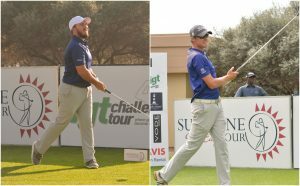 Following top eight finishes in his last two starts, the Wingate golfer is showing signs of rediscovering the form that saw him graduate the IGT Challenge Tour at the top of the Race to Q-School Rankings in March. 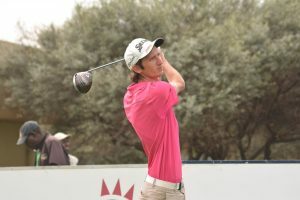 Conradie took advantage of all four par fives and padded his scorecard with further gains at the second and 16th holes and finished one stroke clear of fellow Sunshine Tour rookie Louis Albertse. 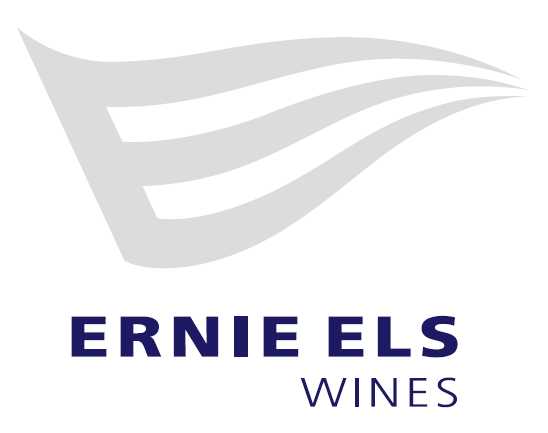 “It’s took a while for me to regain my strength and to get my game back to a competitive level, but last week at Centurion it started to come together,” said the 20-year-old. Conradie laid up at the par five 11th, pitched a gap-wedge three feet from the hole and sank the birdie putt. He bogeyed 12 after hitting his second over the pin into the greenside bunker, but got back on course with a two-putt birdie at the par five 15th. At the par five fourth, he laid up with a 3-wood and hit a great wedge shot from 80 metres out to eight foot for his fifth birdie. “My last birdie came at the last par five, where I hit a good drive, solid approach and two-putted for four,” said Conradie. Dean Martin, who is on his summer break from Wayland Baptist University, fired six birdies in seven holes around the turn on his way to a three-under. 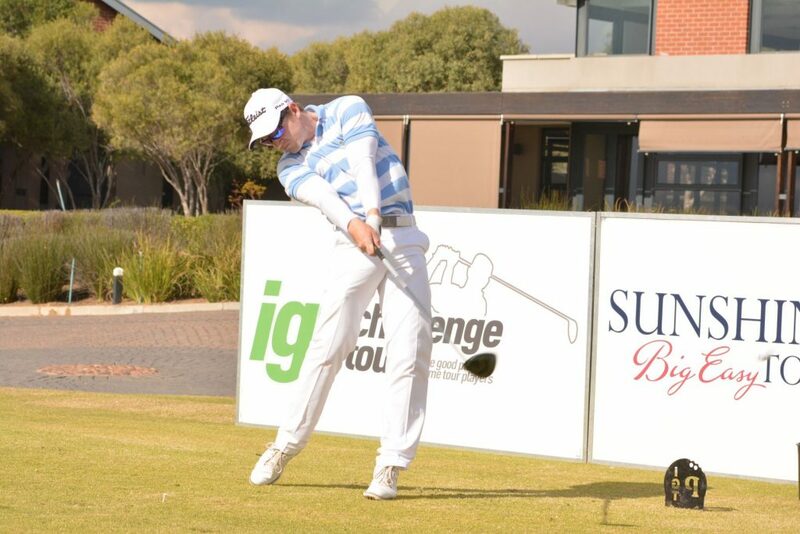 The Dainfern amateur tied for third with seasoned Sunshine Tour winner Wynand Dingle. Allister de Kock from the Gary Player Class of 2018/2019 mixed two birdies with a lone bogey to finish three off the pace. 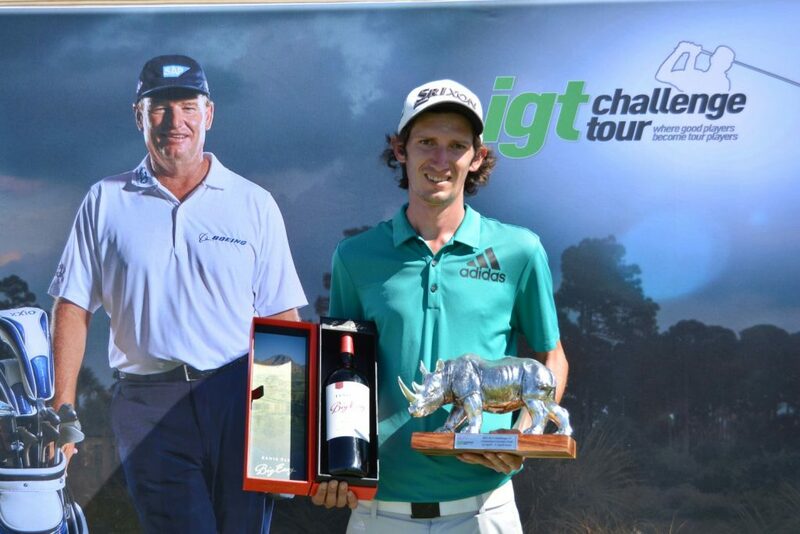 The Uitenhage professional shares fifth with Zimbabwe’s Benjamin Follett-Smith, Breyten Meyer and amateurs Slade Pickering and Jaco van der Merwe. Luke Brown and amateur Matthew Hands rounded out the top 10 on one under.